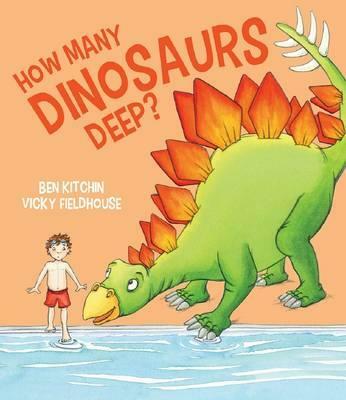 Buzz Words: How Many Dinosaurs Deep? Children who love dinosaurs will enjoy the bright illustrations showing the obliging dinosaurs stacked up in various water depths. This picture book is a wonderful springboard for discussions with young children about measurement, space, and resilience. And dinosaurs! At the end of the book there’s an illustrated glossary with interesting facts about the dinosaurs shown in the book.